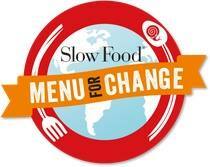 Slow Food Aberdeen City & Shire – Together, we are campaigning for a food system that is good, clean and fair. We all have a role to play in climate change and as part of the #MenuForChange campaign we are asking you to join us in taking a closer look at our food choices and help Cook Up a Better Future? Cooking with Ark of Taste ingredients to help ensure a biodiverse, biodelicious future. Create a climate-friendly kitchen by reducing food scraps and waste. Post a photo of your efforts on social media using #MenuForChange and see what others are doing – together, we can make a difference. 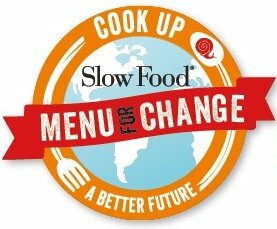 Slow Food Aberdeen City & Shire are joining the global Slow Food #MenuForChange campaign, not just to raise awareness of food’s impact on climate change, but to suggest simple ways that each one of us can help reduce that impact. As part of #MenuForChange, the challenge over the next 4 weeks is to cook at least one meal each week using ingredients grown or produced within 50 miles of your home. Using local produce means a lower carbon footprint of your meal and is a small step to help tackle climate change. Join in with the challenge and share your meal ideas and photos using the hashtags #MenuForChangeAbz #50MileMealAbz #EatLocal#50MileMeal #MenuForChange – there might even be goody bag up for grabs for the best 50MileMeal! If you need inspiration keep a look out for our #50MileMeal ideas and pictures — shop local, cook local and #EatLocal.